Wedding Band for hire - The Hipcats - jazz and swing band for weddings in the south-west and the UK. Hire the purrfect jazz and swing band for your wedding. Ask us about your first dance or even some classical piano for the ceremony. 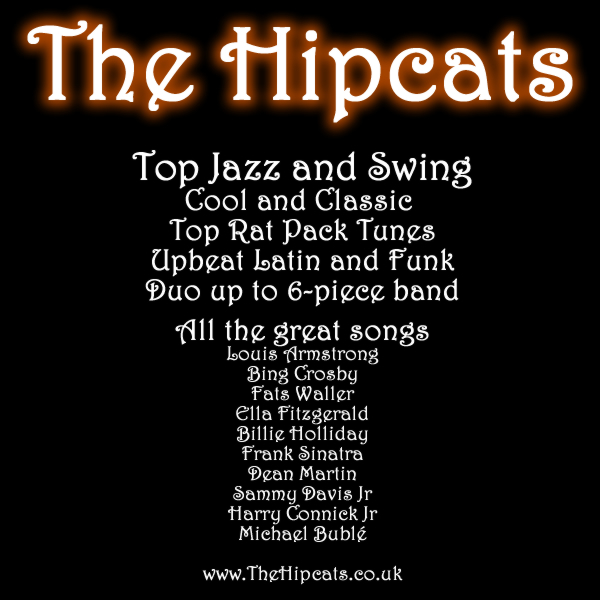 The Hipcats live jazz band and swing band for hire for your wedding. Great wedding band for your special day - laid-back and classy reception music as a jazz duo or trio and fantastic evening party band.